I play guitar since 1972. I usually improvise and noticed early on that my improvisations were best when something unexpected and surprising happened, something that kept me on the edge of my seat. Such as strings breaking or sound-making gadgets falling off the guitar. However, these surprises were not under my control. This left me with a “safe” playing style, one I used to call Toolbox-Approach. You are free to choose which musical tool you are grabbing but eventually, you are merely rearranging the same “tools”. Same piece, just different order of the parts. Now, I can’t just consciously break my strings to surprise myself. The solution to this problem came to me–slowly, of course–when I hooked up my guitar to the computer. The more I developed my software, the more I was able to surprise myself intentionally. The result is the Endangered Guitar, a hybrid between a guitar and a computer. Sounds are constantly recorded, and the information from the analysis of these sounds and the playing determines a wide variety of timbral and rhythmic processes. 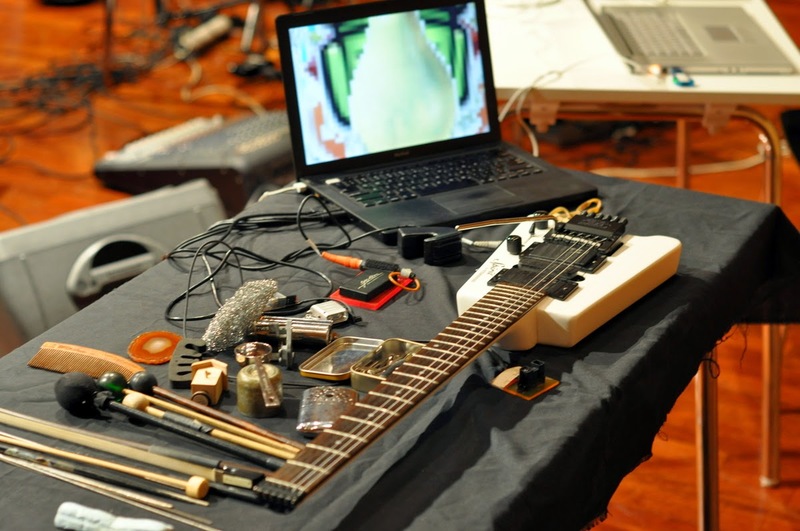 The Endangered Guitar is an interactive instrument, and that is what improvisers need. Following Wikipedia in that interactivity requires that a message is related to a number of previous messages and to the relationship between them the computer’s reaction to the guitar input should be, at least to a certain extent, unpredictable. 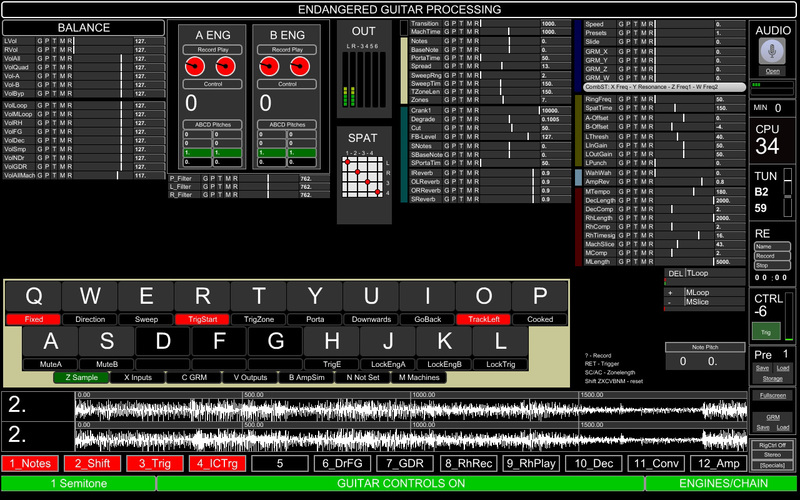 The use of computer technology has been much of interest for guitarists and the industry in recent years, however, interactivity seems to play only a marginal role. Over the time, I programmed more and more “fuzzy” or random elements into the machine. Change is quick because my Max/MSP patch is programmed in a modular way, consisting of around 200 bpatchers, abstractions and poly~ objects. As soon as a new idea is implemented and a name_of_function is assigned, it is immediately accessible from all GUI elements, reset structures, and controllable by any external or internal controller that I am currently fond of. Random or “fuzzy” functions apply to its behavior immediately. This behavior is not static. The amount of “independence” varies with the context. In ensemble performances I allow less interactivity — my co-performers surprise me enough. 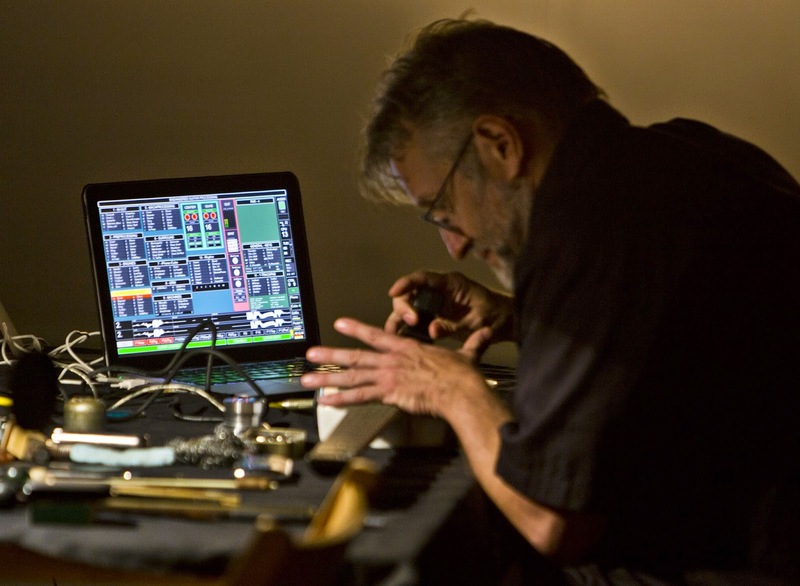 In solo shows the computer became over the years more independent in its responses to my playing. I do make one distinction, though. The Endangered Guitar is not yet an “improvising machine” itself. For this it needs “memory”, to react to its musical partner on a grander scale. Right now the machine reacts to the current input, not to past inputs. Developing a “memory system” plus “rules of engagement” would be an interesting goal for the future. This would be the shift from a hybrid instrument to an improvising music machine. 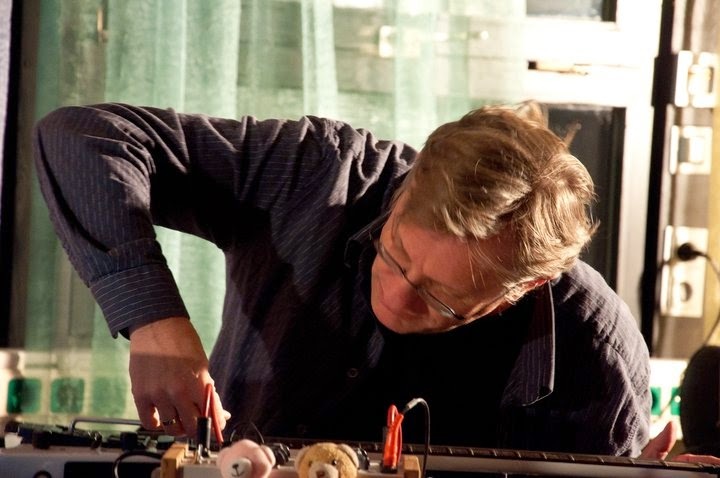 Hans Tammen’s Endangered Guitar is a hybrid instrument, which emerged at the end of the 1990s out of his long history of improvised practices in many styles of music. It is tested and developed in hundreds of concerts all over the world, from solo to large ensemble settings.